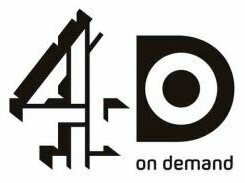 In what could be a move away from in-house streaming servers to massive outsourcing, 4oD has just launched it's own channel on YouTube. This could be a reactive move to the break down of negotiations to open up the BBC iPlayer functionality to additional channels or it could be a genius use of a social media channel. Channel 4 are still running the 4oD channel on their website and are still hosting the video content themselves. However, if the YouTube channel takes off, it would be relatively easy for them to start embedding the hosted video content within their own site instead. With two routes to market and the added buzz of the YouTube name it's surely a 'win win' situation for Channel 4. For YouTube, this could be the beginnings of a much bigger project, they're hosting films, events and contests already. The most telling part of possible expansion plans is that they have 'Featured Broadcasters', only 4oD is featured at the moment but this surely means that others will follow... Channel 5 anyone? Facebook integrates with the PS3... we didn't see that coming! In an interesting move to jump on the Facebook bandwagon the developers at Sony have decided to integrate Facebook functionality within the latest PS3 firmware update (v3.10). Just a marketing ploy to exploit the current buzz around Facebook or could this be a genuine move to integrate more social media within the PS3's core functionality. Could in-game Tweeting be next?! Watch the PS3 Firmware overview below. Google has just snapped up the mobile marketing firm Admob for £449m in stock. Google already offers limited mobile advertising with keyword and mini banners available on the Google search functionality on mobile phones. 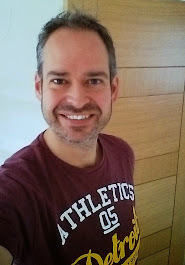 However, Admob offers 15,000 mobile Web sites and applications in their network, all running paid for advertising and potentially a great addition to Google's advertising network. But will the acquisition prove to provide a good ROI for Google? Well, Admob's total global impressions served so far are 126,148,219,631, so a pretty good indicator that they're doing something right! So, YouTube is looking to push 3D video content on their site... nothing new really as 3D seems to be a buzz word for 2009! However, YouTube have added some amazingly simple functionality that means there is no longer a need to scramble around to find a specific type of 3D glasses. Multiple options for which type you own sits in a drop down underneath the video just select your type and the video switches to that format.